Easy Stove Top Candied Yams made with butter, brown sugar and cinnamon are the perfect Thanksgiving side dish. You’ll love this traditional recipe! 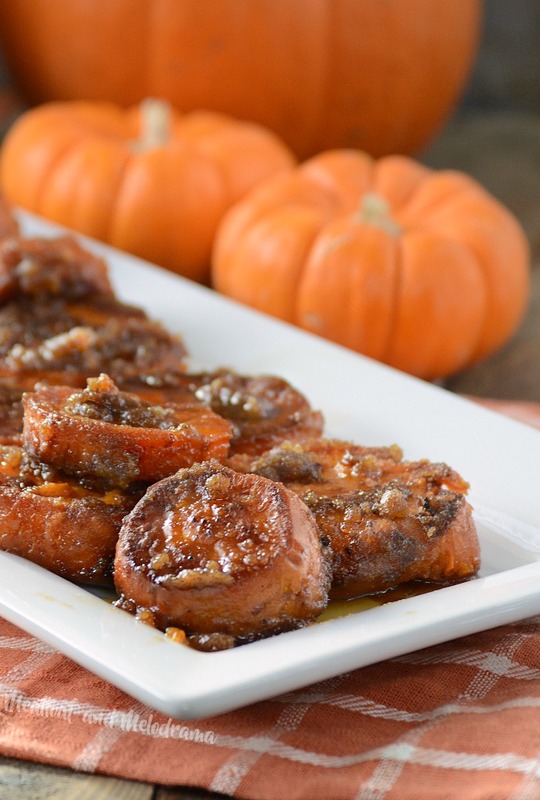 These homemade candied yams are to die for, friends! They’re rich, sticky, sweet and best of all, you cook them on the stove top or in an electric skillet, which frees up oven space. 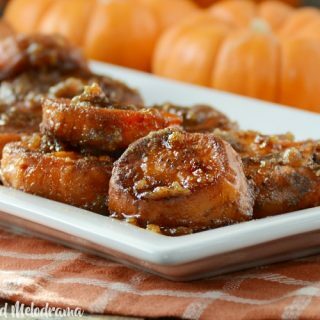 If you’re looking for a delicious Thanksgiving side dish, you don’t want to miss this easy recipe for candied yams! If you’re a regular reader, you know how much I love sharing old family recipes that belonged to my mom and grandma. Well, this time, I’m doing something slightly different! 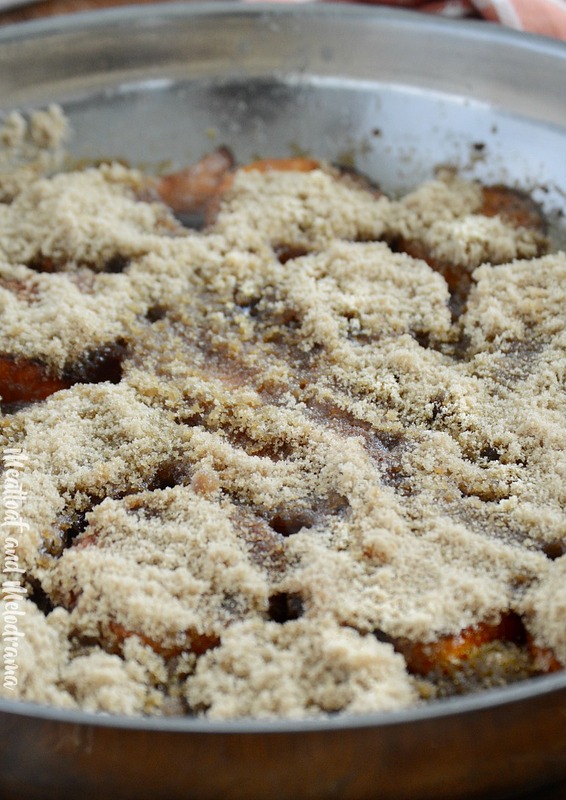 I’m sharing an easy recipe for my mother in law’s candied yams. 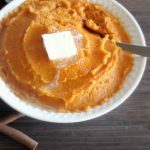 Usually, we have mashed sweet potatoes or sweet potato casserole with marshmallows for our Thanksgiving side dishes. The kids are partial to the casserole because they like to scrape the marshmallows off the top and eat them first. Personally, I prefer the lighter mashed sweet potatoes. So the Hubs suggested we have the candied yams, instead. He remembers his mom making them every year, and he even had the recipe memorized. It’s a super simple recipe, and you only need four ingredients in addition to the yams. And let me just say that this is definitely NOT a low calorie recipe for yams! 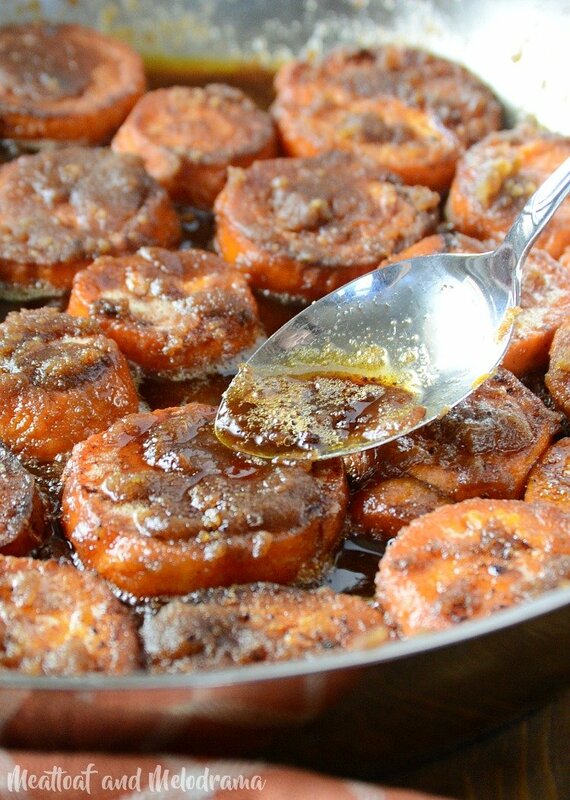 These babies are smothered in butter and brown sugar and seasoned with cinnamon and a pinch of nutmeg. But, since Thanksgiving only comes once a year, we’re good, right? Besides, they taste absolutely incredible! Like I said, these candied yams are very easy to make. Just brown the yams in the butter and top with brown sugar and spices. While the yams are cooking, keep basting them with that awesome sauce until they’re done. Easy peasy! You can also add more butter if you want a thinner sauce or more sauce. It’s totally up to you! The Hub’s mom used to cook the yams in an electric skillet, but we made these on the stove. Either way is fine, and you can save the oven space for the turkey. Because it’s not Thanksgiving without the turkey right? 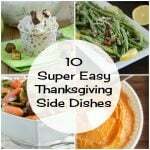 Looking for More Easy Thanksgiving Side Dishes? Homemade easy stove top candied yams cook in a rich sauce made with brown sugar, cinnamon and butter. 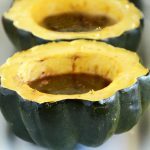 This recipe makes a delicious side dish for Thanksgiving and any holiday! I hope you enjoy this recipe for easy stove top candied yams as much as we do! Yum! They looks so delish! I love how you topped them! Not low-cal? Perfect for Thanksgiving, then! They look fab! This sounds amazing! I think this need to be my next snack! Personally, the smothering of these yams is what makes them so good!! Love it!! What a great side dish for the Holidays! We love candied yams! A must for Thanksgiving dinner! 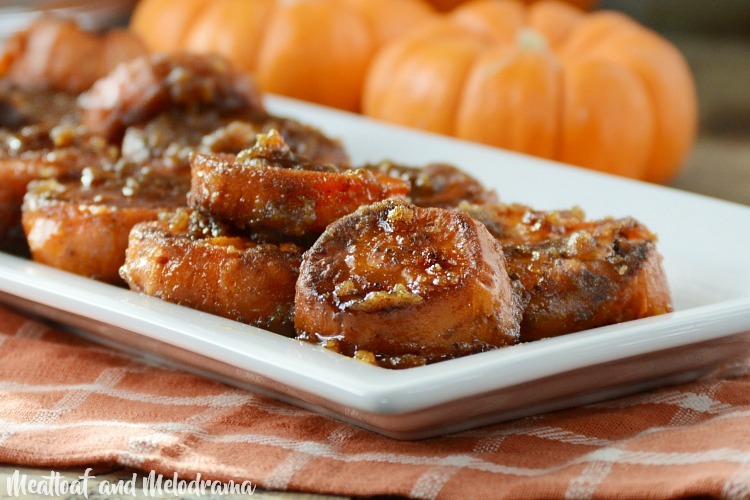 Oh mercy how I love Candied Yams, these are wonderful! Thanks so much for sharing with us at Full Plate Thursday. Come to next weeks Thanksgiving party on Tuesday at 8:00 am, CST, see you then! Dee, those look gorgeous. My mother made stovetop candied yams, too, but she used a lot less butter and sugar, probably half. I’m not suggesting you change your recipe, though. Just saying if anyone in the family ever needs to “cut back” you can still make the dish! 🙂 Love the photos! Can this same recipe be used for in the oven. To make a larger batch for Thanksgiving. If so, do you cover in oven. Cooking it on the stove is what caramelizes the yams. My husband said his mom tried it once in the oven, but it didn’t work well. You could probably make it on the stove and transfer the potatoes to the oven to keep warm, though. You can make them ahead of time, but just be careful not to cook them too long the first time. I tried your recipe for Thanksgiving this year and everyone loved it! Recipe was simple and easy to follow and the results were Great. Thanks so much for sharing it! 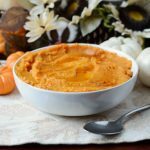 can this recipe work with Bruces canned yams?